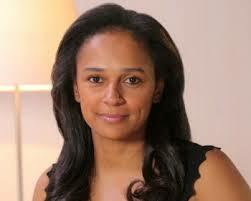 Africa’s Richest Woman, and the Title Goes To? Success, wealth and business in Africa is rarely talked about from the perspective of women, so the question of who Africa’s richest women is has often been one many have been unable to answer. Up until recently there has been some awareness due to Forbes Africa chronicling Africa’s rich list, around the fact that a Nigerian business women has topped the list. Folorunsho Alakija came in at number 24 on the 2012 Forbes Africa’s rich list, with an estimated wealth of $600m, putting her 7 places above the only other women on the list, Isabel Dos Santos, whose estimated wealth was listed as $500m. At the end of 2012 their respective positions where 24th and 31st on the list, however in the last few months things seem to have taken a turn, interestingly Dos Santos, daughter of the Angolan president has now been given the title of the Africa’s first female billionaire. Estimated to now be worth $2b sparking controversy as to how so much wealth can be acquired in such a short span of time. What is also interesting is that Alakija was previously given this title in 2012, when it was stated that not only was she the richest women in Africa and Africa’s first female billionaire, but she had also taken the title as the richest Black women in the world, amassing a total wealth of $3.3b, taking the title from Oprah Winfrey who’s estimated wealth was $2.7b. However according to Forbes self-made oil tycoon Alakija is now only ranked as being worth $600m, giving the title of Africa’s richest woman to Ms Dos Santos, all very confusing, we’ll be interested to see how this pans out when Forbes Africa next review their list.